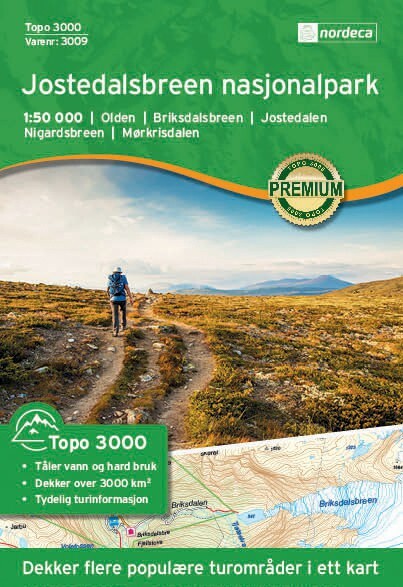 Jostedalsbreen 1:50 000 is a detailled map covering an area of 64 x 47 km (over 3000 km²). 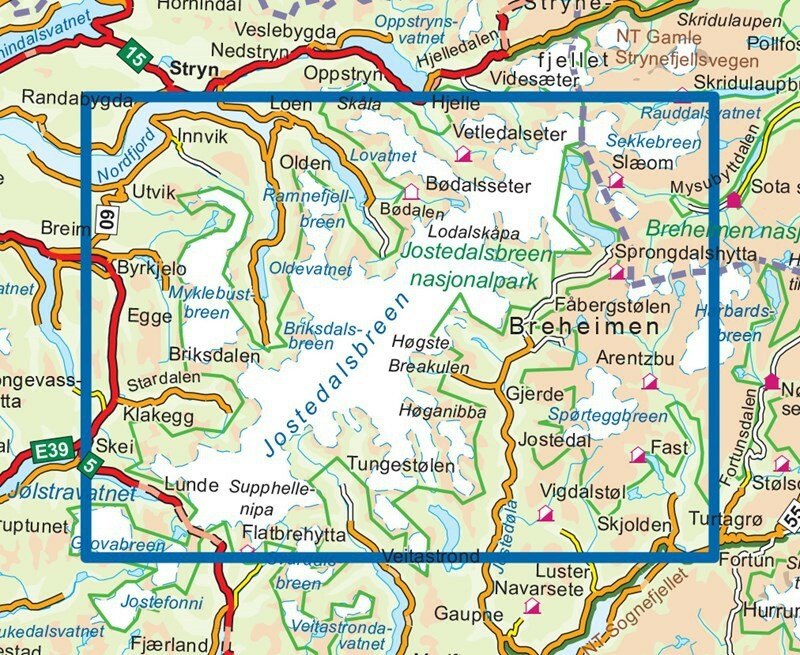 Jostedalsbreen 1:50 000 is a detailed map covering over 3000 km². Here you will find the hiking routes easily and also the lodgings in the area. Covers the following places: Olden - Briksdalsbreen - Jostedalen - Nigardsbreen - Mørkisdalen. Compatible with the EUREF89 GPS system (WGS 84). Waterproof paper.